Make a North Carolina friend or loved one feel special on their birthday with our cheerful birthday gift basket. Your recipient will enjoy delving into their basket to discover goodies such as chocolates and other delicious gourmet food treats. If they enjoy their morning coffee, then send an gift basket filled with coffee and tea. For the dieter, send a health food basket or a basket with fruit or organic snacks. Or, send a luxurious bath and body gift basket to someone who needs a little pampering. Each basket has its own amazing look with our numerous, creative designs. You can easily view the baskets (inside and out) with our online photos and descriptions to determine which gift basket is right for the occasion and the person. For young children, try our kidsÌ gift baskets delivered to NC. These are packed with fun stuff such as activity books, games, snacks, candy and stuffed animals that can make any child smile. For the teen, help him/her celebrate a milestone such as high school graduation with an appropriately themed care package. The possibilities are endless as you discover page after page of our adorable gift baskets to send to NC. North Carolina gift baskets by Adorable Gift Baskets offer your loved ones not only a gift, but an unforgettable experience. Send gift baskets to NC relatives for celebrations, sickness, bereavement, anniversaries, and holidays. Keep a list of all your loved ones and their addresses so you can take advantage of our NC gift delivery whenever you need it! Gift basket themes can include such occasions as birthday, get well, new baby, thank you, sympathy, housewarming, corporate and personal events. Gift baskets contain fine products such as gourmet food, fruit, coffee, tea, chocolates, snacks, cookies. Are you tired of giving the same 'ole gifts every time an occasion rolls around? 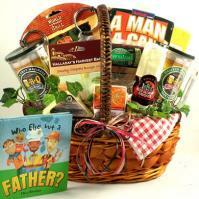 Then beef up your giving with unique North Carolina gift baskets by Adorable Gift Baskets. We can help you spread a little sunshine to your friends and loved ones in North Carolina whenever you need to send a gift basket. Lavish your loved ones with NC gift baskets that speak volumes of your love and thoughtfulness. Themed gift baskets delivered to North Carolina allow you to celebrate the birth of a new baby with a new mom or meet the challenge when buying a gift for the man who has everything. You can share romance with the love of your life by sending a romantic North Carolina gift basket. Our NC gift delivery enables you to shine while using our effortless online gift basket shopping system. Browse hundreds of gift baskets online and send the perfect gift basket to NC friends and family members with the click of a mouse. The town of Wendell was named for the American writer, Oliver Wendell Holmes. The first Pepsi was created and served in New Bern, North Carolina in 1898. North Carolina is the largest producer of sweet potatoes in the nation.